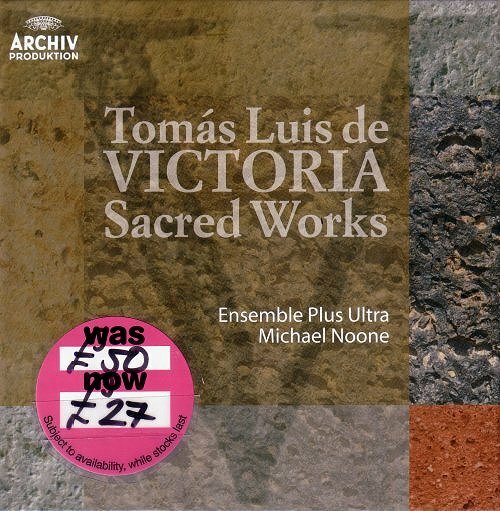 ...when committed to the sublime sounds of Tomás Luis de Victoria. 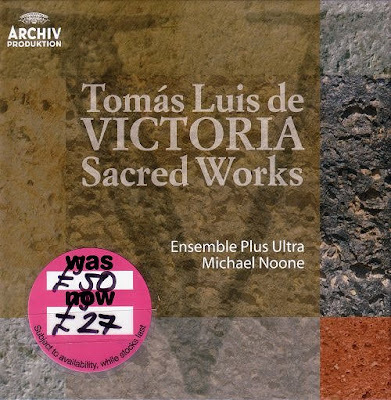 Ninety of Victoria's sacred works in acclaimed recordings by Ensemble Plus Ultra directed by Michael Noone can currently be bought in a 10 CD Archiv box for the suicidal price of £27 in beleaguered HMV stores in the UK. Suicide is Painless aka Song from M*A*S*H is a personal favourite on Bill Evan's album You Must Believe in Spring. And that mention of Bill Evans takes us from Tomás Luis de Victoria to György Ligeti. Wandering through my local, by now closed up, HMV store I couldn't help but notice myriad customers buying CDs---that "dead" medium. For the most part what they were buying was 20% off the full list price or 10% off the current discounted price. This should be a message to the recording industry that a market could still be there for their product if they could shave a bit off their margin. The real "deals" to be had in the closing of that HMV location were in October and early November when buying 2 or more classical discs gained a 30% savings on each one no matter the current ticketed price.